Human resources is serious business. Whoever thought that dealing with every kind of personality is an easy job has obviously never been in HR. While HR reps are supposedly people experts, it’s time to accept that these folks could also use a helping hand. HRZone is a digital publication that posts regular articles on thought leadership. Their articles revolve around improving office culture and making it more progressive. They also post latest trends regarding the HR field. The Society for Human Resource Management is one of the world’s leading HR associations in the world. With over 250,000 members in 140 countries, SHRM keeps its members up-to-date with leading HR news, resources, and tools from all parts of the world. What makes The HR Capitalist special is its focus on output-based solutions. The site goes beyond theoretical know-how and finds ways to mold them into applicable solutions for the love of human resources. The Human Resources Research Organization is a non-profit organization that focuses on research and consultation in the world of HR. Its research projects are centered on the relationship between profit consulting and non-profit human resources. As the name suggests, Women of HR is a guest-blogger friendly site that is focused on the woman’s position in the workplace. Its articles are dedicated to the development of women in the corporate world and the issues that affect the lives of working women. RecruitingBlogs is a content network (think Facebook and LinkedIn wrapped in one!) for HR professionals. The site offers crowdsourced content about the daily life of HR reps. Posts range from personal successes to the most annoying things experienced as an HR rep.
HR Bartender is the blog of the ITM Group, ran by its president, Sharlyn Lauby. This page features tips on how to become a natural people expert. Its articles are focused on developing strategies to increase retention and inspire talent in the workplace. While its articles are mostly geared towards helping HR professionals, HR Bartender offers the occasional advice for other people in the office. HR Magazine is a UK-based magazine that centers on issues such as gender, modernization, work ethics, and race in the workplace. This all-around magazine features the latest trends in HR technology as well as thought leadership articles. TalentCulture is an exciting online community where professionals from all over the world gather to discuss leadership, HR training and management, and learning. TalentCulture connects its users to other HR professionals, as well individuals from different fields. Its users provide fresh, fun insights and commentary on all things business. Known previously as The Recruiter’s Lounge, Workology maintained its reputation as one of the most diverse and extensive resources for all things recruitment. This blog has its spotlight on various tactics on recruiting the best candidates. It provides updates on tech and searching tips that make head-hunting an easier process. Don’t know where to start looking for an HR-related resource material? Human Resource Management International Digest is the one-stop shop to HR research and publication. It collects the best articles in the field and conveniently compiles it in a single journal. Workforce Magazine is a print-and-online magazine that covers anything under the HR sun. Its discussions on financial and legal benefits are a great resource for anyone who is starting out their HR career. HR Magazine also features hard-hitting personal stories of failure, lawsuits, and success in the workplace. Run by writer Suzanne Lucas, Evil HR Lady is a hilarious blog that satirizes the idea that all HR people are evil. Lucas delivers jokes, stereotypes, and typical office discussion in a candid task to rebrand human resources. TINYPulse is all about boosting workplace productivity and employee engagement. The blog offers various insights on progressive office culture, advocating for a prejudice-free work environment. It is a great source for how-tos on employee recognition and organizational culture. The blog is run by Hppy, an employee management software dedicated to increasing rates of employee happiness. Naturally, the blog’s perspective is centered on employee happiness, delivering fresh answers to the crucial questions that have to do with employee satisfaction, retention, and improvement. Talent Tribune delivers impressive fact-checked and data-driven articles regarding office culture in the modern world. As it is powered by Softwareproviders.com, you can expect the content to revolve around the latest trends in tech and how it affects the workplace. Talent Tribune also publishes thought-provoking pieces regarding innovation and the working experience. Fistful of Talent is an all-star blog that features the leading bloggers, thought leaders, and pros in HR. The website offers a fresh perspective on familiar issues as well as brand new concepts that can be utilized by any HR professional. Fistful of Talent is like any HR blog, minus all the boring stuff. No Excuses HR is for anyone who’s had trouble making decisions and taking action. The blog is all about proactive behavior in the workplace, positivity, and responsibility. It is focused on encouraging its readers to face tough decisions and problems. The Human Resource Research Center is run by University of Florida’s Warrington College of Business. The existence of this academic institution revolves around improving human resources practice through scientific research. The International Journal of Human Resource Studies is the leading hub of formal HR knowledge. It publishes a limitless scope of research articles in order to provide the best data-driven resources to HR individual. The research projects are focused on performance improvement, office culture, and resource management. The HR Daily Advisor is one of the longest-running HR blogs out there. The content is published by BLR’s team and they produce news, advice on practical HR practices. The HR Daily Advisor is a great source for free webcasts and articles. HR Ringleader is run by Trish McFarlane. Her blog covers everything about HCM and HR technology. McFarlane offers amazing tips as an expert analyst and former HR executive. Corn on the Job is run by Rich DeMatteo. He offers fun and refreshing opinions and advice to job hunters. This resource is great for people who are just starting out their career paths. DeMatteo regularly shares his own personal experiences to his readers. As the title readily suggests, Steve Boese’s blog is all about innovation in the workplace. As a writer and editor for the Human Resource Executive magazine, Boese offers direct and intuitive info on tech know-how as a means to unknotting business complications. The Officevibe explores office behavior and reveals tips and tricks on how to create a great working atmosphere. The core of its content covers employee satisfaction, performance reviews, and just about anything that affects the office vibe. This info is usually packaged in awesome infographics that embody the upbeat outlook of the site. If you’ve ever wondered if something you have done is legal or not in the workplace, The Employer Handbook is the best place to search for answers. The site focuses on the dirty stuff in the HR and offers advice on how to skirt around problematic situations. The blog is owned by Insperity, a company “inspiring business performance”. The content doesn’t stray far: the articles deal with the best tricks for business and trade. The blog is a great resource for ideas on how to transform office culture and inspire greater rates of productivity and success as a leader. Even people who aren’t in HR would benefit from spending some time on The Harvard Business Review. It curates insightful discussions on business and features numerous discourse on HR-related topics. It’s an all-around source for business personnel that would like to engage in critical, analytical, and intelligent dialogue. The blog is run by HR software company, tribeHR. Naturally, its content is focused on scientific research regarding trends in recruiting, employee engagement, and how to create better results for any company. The tribeHR blog offers articles for just about everyone in an office. While Psychology Today wasn’t exactly made with HR issues in mind, it does focus on the general philosophies of people management that would be beneficial to any HR professional. This is a hub of info for all things related to socialization, people management, and psychology. upstartHR is all about keeping your passion for human resources. Owner Ben Eubanks opened the blog with one goal in mind: to make the HR profession better, one HR pro at a time. His content typically revolves around leadership and community building. This blog is all about engagement. The posts are dedicated to delivering sage advice on how to improve and increase rates of employee performance and happiness. They feature articles on HR trends, mindful behavior, wellness, and work positivity. The blog is run by an online-based HR software that helps administrators perform simultaneous operations in the most efficient way possible. In its blog section, People HR tackles a multitude of subjects including employee benefits and work relations. 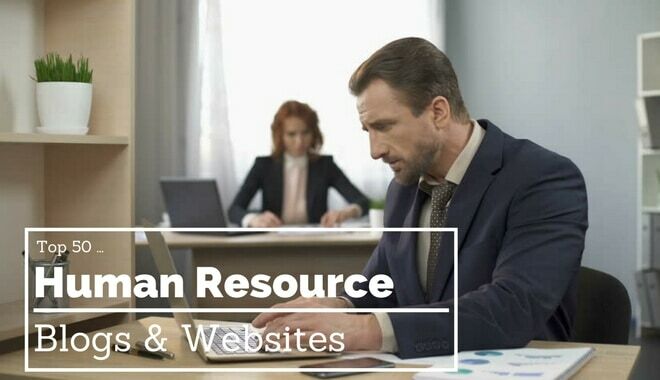 Human Resource Management Review is a quarterly journal that publishes theoretical and conceptual research projects on human resource management. It’s also a great resource for a field with similar philosophies such as labor relations, organizational psychology, and organizational behavior, among other things. The World Federation of People Management Associations is an international organization concerned with bridging one HR professional to the other. They connect national HR associations and organizations for conferences, research projects, and corporate opportunities. HR Morning delivers serious HR-related news including controversial policy changes and discrimination lawsuits, among other things. HR Morning is an outstanding resource for employment law and regulations. It also covers more candid topics like recruitment trends and management dos and don’ts. TLNT is another data-driven site that shares insights and analysis on various HR topics. They provide science-based info on how to improve, secure, and control various human resource risks and events through trends and projections. BLR is your one-stop site for all things legal. Info regarding employment law, discrimination, common lawsuits, and similar topics can be found here. It offers great legal know-how to anyone who wants to engage in business and management. The Chief Happiness Officer is run by Alexander Kjerulf where he posts hones in on the very elements that make an employee happy. This is a great place to find tips as an employer and an HR personnel regarding employee satisfaction. Kjerulf believes that happiness is an essential part of working in every field and his articles are driven by this principle. Laurie Ruettimann delivers hard-hitting pieces on HR life in her self-named blog. Her posts are refreshing in that they are honest, straightforward, and incredibly direct. She reveals the reality of every aspect of HR life – interviews, performance reviews, and generally anything that involves people. AnyPerk is concerned with the overarching topic of employee benefits. It gives HR professionals interesting advice on how to award their employees the best perks. The blog is also focused on finding ways to keeping the office vibe happy through successful engagement and a good rewards system. Organization Studies Stanford Professor Bob Sutton started this blog to help people learn how to build relationships—especially outside school. Sutton offers case studies in that his advices are proven solutions to even the most complicated HR-related problems. The Labor and Employment Law Blog is the absolute best resource for legal advice and info in the workplace. The best thing about this site is their writing style. They simplify legal terms into understandable, practical knowledge in order to help readers understand laws and regulations surrounding office life. Like other HR blogs, Steve Nguyen’s The Workplace Psychology also deals with the nitty gritty of office relations. What makes the blog special is its attention to credible sources. Its treatment of HR topics is scientific as it presents only scholarly information to its readers. Monster is an all-around knowledge hub for employers, employees, and job seekers alike. The site is focused on delivering practical tips regarding all things employment. Monster Thinking offers something new for both beginners and veterans in the business. CakeHR is a software that makes it easier for HR reps to streamline attendance and performance management. The company is all about tech innovation and automation in HR, as well as creative and fun ideas for better employee engagement. The HR Examiner is a crowdsourced info hub where professionals gather to deliver news, features, and opinions regarding all things HR. Its users provide innovative approaches and a global perspective on people relations. Good. Co offers candid insights on hard-hitting HR topics like gender equality, stereotypes, racial issues using analytics and algorithms. Their articles are backed by scientific methods of study and are great resources for engaging and academic content. HR Minion is an extremely enjoyable blog that pokes fun at the experiences of a lower level HR employee. The site shares various quirky, interesting, and sometimes even odd solutions to the fundamental HR problems. As the name readily suggests, Systematic HR is all about technology in the workplace. It delivers news, inventions, trends, and other data on the latest tech that can be used by HR professionals in order to make their work better.